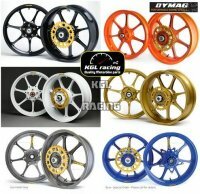 You will find the motorcycle silencers you need at KGL Racing, whether a classic, sport or replacement model. 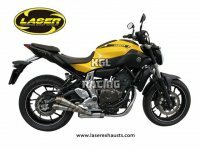 We have a silencer for every motorcycle, quad and scooter: our online motor shop provides no less than 16.000 models from top quality brands. And at a competitive price. But we offer more than motorcycle parts. We also help you with the assemblage. Thanks to our experience and passion for technique, we can deliver proper work in no time. In this way, we are the official dealer of Leovince, Ixil, HP Corse, Vance & Hines, Devil, Laser, Remus, Viper, Ixrace, Zard, Bos, Bodis, Two Brothers, Venom, Motad, GPR, Spark, Sil Motor, STORM, Scorpion, Eagle, Takkoni, Marving, Raptor, Cobra, MIVV,EXAN, Supertrapp, Kerker, KGL Racing exhaust, FMF, Arrow, Termignoni, SC-Project, QD exhausts , Rinehart Racing exhaust,S&S Cycle exhaust, ENDY Exhaust and Akrapovic exhausts. You are looking for an exhaust in particular? Or rather for an interesting deal? Feel free to contact us and be sure to have a look at our exclusive deals!